Need an electrician in Cookridge or Tinshill? Helping the homeowners of Cookridge & Tinshill since 1993, DC Electrical have considerable amounts of industry skills, and our knowledge and prices are unbeatable. No matter what electrical service you require, we guarantee you top quality materials, excellent workmanship and a bespoke service. Our professional electricians will listen to your exact needs and cater their work to meet your requirements. By choosing us, you won’t be disappointed. 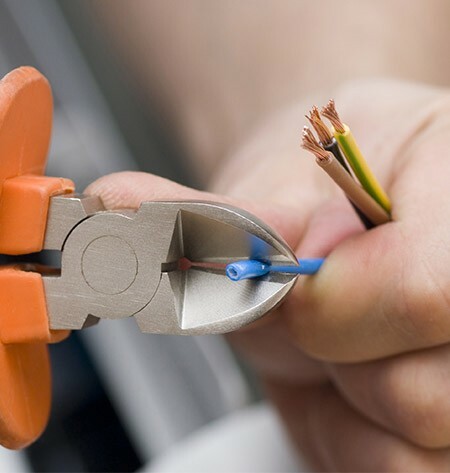 Our fully trained electricians are highly experienced in all aspects of electric supplies and repairs. You are guaranteed speed and skill from design through to completion. Get in touch to receive your free estimate. If you're in LS16 pick up the phone and speak to our skilled electricians on 0113 370 9015.